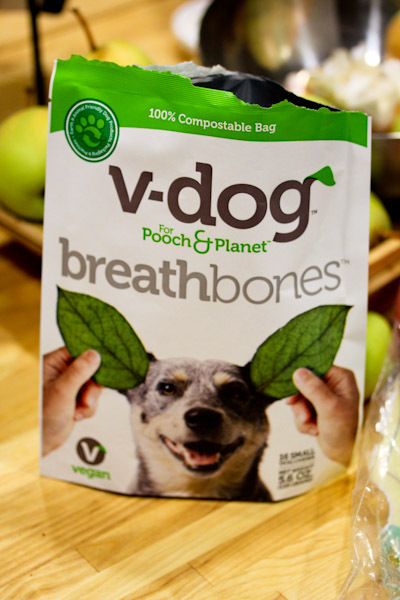 I got adventurous this week and ordered V-dog Breathbones with our usual kibble order from V-Dog. 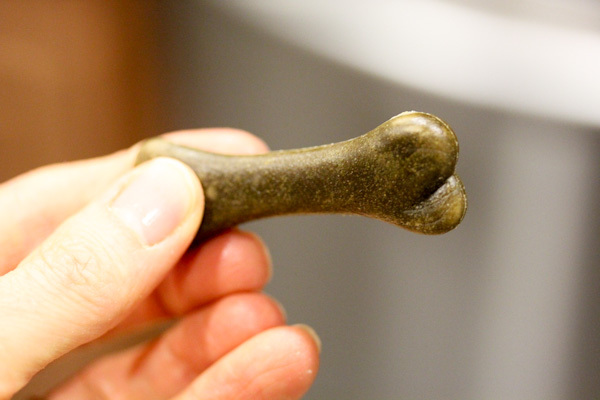 Skipper does not always have the freshest breath and he loves to chew, so I’m always looking for vegan ways to keep him busy. 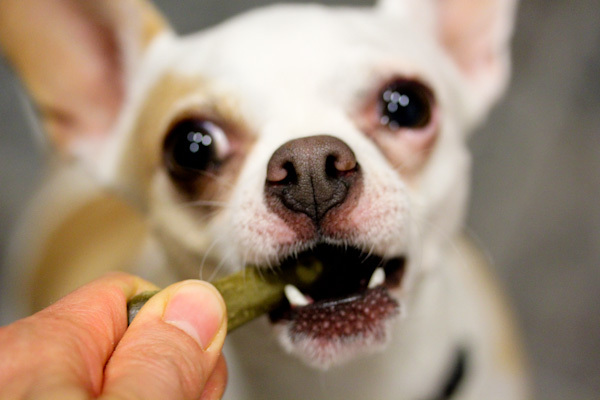 I ordered the small size to try so the chihuahuas could try them too and they are interesting looking. Very tough, I was unable to break one in half and they have a slight cinnamon spiced smell to them. Skipper liked them right away, he took one off to be chewed up and actually made short work of it. I might need to order the larger size for him next! 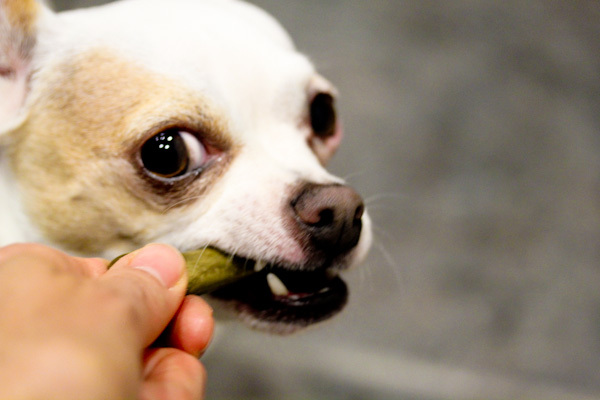 The chihuahuas were unsure at first, they sniffed them and it took a little coaxing to get them to take the treat. They tend to be more sensitive to dry and crunchy foods. But soon Miko tried it. And became determined to take it from my hand. He carried it around the house for a bit before finally chewing it up and enjoying it, but he’s a big fan now too. They’re a little pricey, but they did keep the dogs busy for a bit and made a noticeable improvement in their breaths, especially Skipper. So thumbs up! 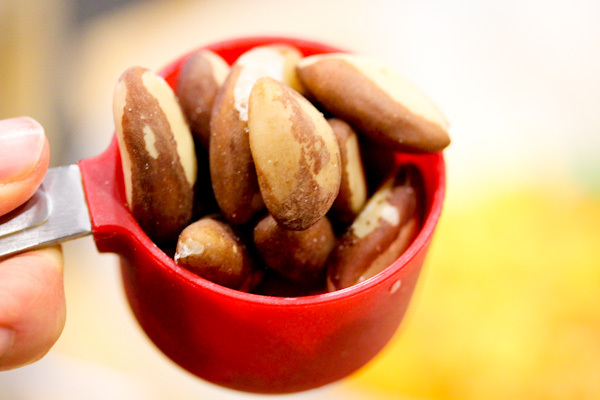 I think Brazil nuts might be my favorite nut, well perhaps a tie with black walnuts. But I don’t buy them nearly enough since they tend to be pricey. 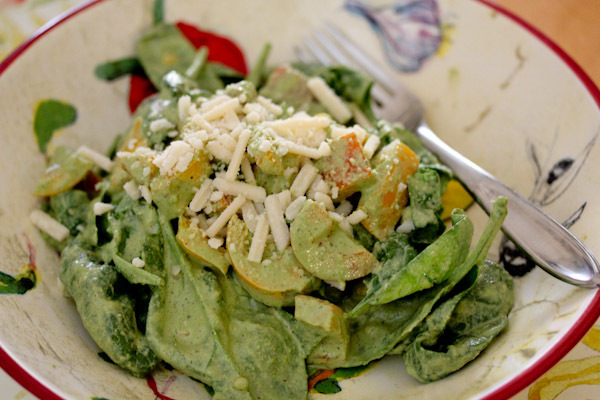 I splurged on a bag at Trader Joe’s over the weekend and used them in a divinely creamy pesto dressing with no added oil. Brazil nuts are a great source of whole fats and selenium, perfect to get a creamy texture without adding cheese or oil to traditional pesto recipes. I coated a large spinach salad with the dressing and topped with Trader Joe’s Vegan Mozzarella Shreds. 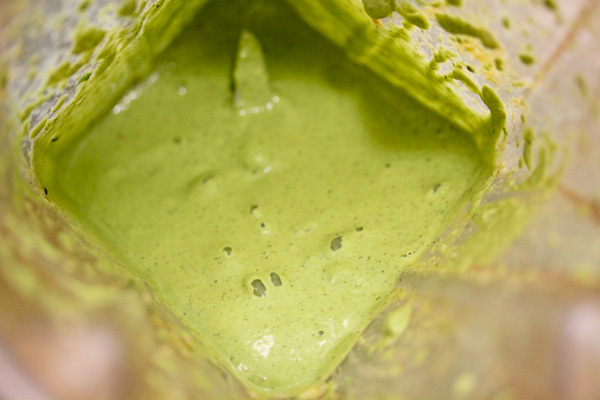 The dressing has a wonderfully smooth and silky texture with the powerful basil and garlicky flavors of pesto. The Brazil nuts add a slight bitterness that works will with the garlic and basil and lit up a plain spinach salad nicely. 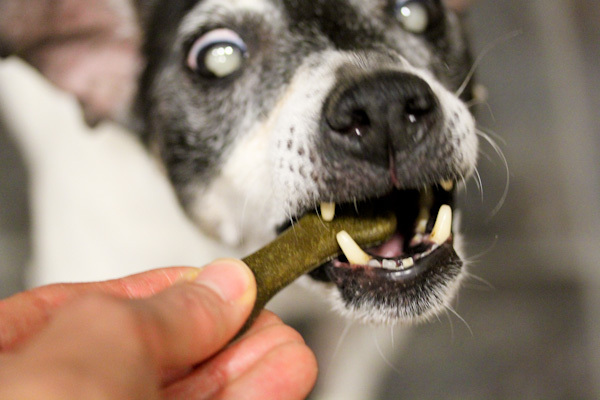 I need to have my dogs try these, too, thanks for the reminder! I saw the brand at VegFest and almost forgot about it! Nice on your basil jackpot, I’m already thinking of more pesto recipes.